Bulimia is a serious eating disorder. It’s characterized by cycles of binging, or eating excessive amounts of food in a single sitting, followed by purging, which is an attempt to get rid of the extra calories consumed. If it isn’t treated, bulimia has the potential to be life-threatening, due to the strain it causes on the body.People with bulimia struggle with body image and self-esteem. There is a sense of a loss of control with the binging episodes, followed by an attempt to regain control by purging. Purging takes many forms, including vomiting, fasting, using laxatives, and over-exercising.Bulimia is treatable, but professional assistance is often needed in order to recover. With help, people with bulimia can examine the underlying issues leading them to binge and purge, and learn to live a healthy lifestyle. Bulimia was first included in the Diagnostic and Statistical Manual of Mental Disorders (DSM) in 1980. The cycle of binging and purging existed long before this, though. The Roman emperors Claudius and Vitellius, for example, both purged after excessive eating. The first recorded incident of behavior similar to bulimia was in about 370 B.C. when Greek soldiers purged themselves.Purging behavior was also recorded in ancient Egypt. Physicians would recommend purging once a month to improve health. This behavior likely stemmed from the belief that human diseases were caused by food.It wasn’t until the 20th century, though, that the connection was made between patients binging, or overeating, and purging, and that this behavior was a distinct disorder. The Mayo Clinic compiled a list of patients who had been treated for anorexia in 1930. Anorexia is characterized by prolonged fasting to prevent weight gain. Of these patients, over 50% were voluntarily vomiting in order to control their weight.In 1979, British psychiatrist Gerald Russell published a description of bulimia nervosa, including diagnostic criteria and treatment options. This led to bulimia’s inclusion in DSM-III in 1980. Once bulimia appeared in the DSM, there was an increase in patients being diagnosed as bulimic. Today, bulimia is present in about 1.5% of women and .5% of men.Today, bulimia occurs more frequently in developed countries and is more prevalent in cities than in rural areas. Though initially thought to be more prevalent in Caucasians, the lifetime prevalence of bulimia is actually higher in Latinos and African Americans. Bulimia is common across all economic brackets and in countries throughout the world. Research indicates that the onset of bulimia is happening at younger ages for both boys and girls. There are two types of bulimia: purging and non-purging, though both are often referred to as purging. This is characterized by directly trying to “get rid of” food by self-induced vomiting, laxatives, or enemas. This involves other methods of preventing weight gain from excess calories, including over-exercising, fasting, or strict dieting. The exact cause of bulimia is unknown, but its thought to stem from a combination of biological factors, societal influences, and environmental factors. Bulimia is more common in those that have a relative with bulimia, which suggests a genetic link. Abnormal levels of serotonin, a chemical in the brain, may also play a role in vulnerability to bulimia. Serotonin plays an important role in impulse control, appetite regulation, and social behaviors. Researchers have found that patients with eating disorders were twice as likely to have variations in the gene for serotonin than those without eating disorders.The lack of serotonin in the brain may be a part of what leads to disordered eating, as binging on high carbohydrate foods can increase the levels of serotonin in the brain.Women are more likely than men to have bulimia, and young women are more likely to have it than older women. Gay and bisexual men are more likely to have bulimia than heterosexual men. Other psychological disorders, including anxiety and depression, may also play a role in causing bulimia. There is immense pressure on women to conform to “ideal” body types, as portrayed by the media. For many, these “ideal” body types are impossible to attain, leading to unrealistic expectations and a sense of dissatisfaction with their own body, which can then lead to bulimia. Men can also be vulnerable to this societal pressure.Low self-esteem is another common factor in those with bulimia. Low self-esteem can stem from a number of sources, including trauma, abuse, and feelings of imperfection. Those that work or perform in positions that highly value physical appearance can also be more vulnerable, including actors, models, and athletes.Athletes, in particular, can be vulnerable to bulimia due to the pressure to conform to a physical standard and the availability of exercise to purge. Because exercise is a part of athletics, this can make bulimia in athletes especially difficult to detect. The events of a person’s life can also influence their vulnerability to bulimia. These include traumatic events and physical, emotional, or sexual abuse. Life transitions can also be vulnerable periods, including leaving home for college, going through a divorce, or experiencing the death of a loved one.Post-traumatic stress disorder, or PTSD, is especially prevalent in those with bulimia. Traumatic events that lead to PTSD can include sexual abuse, being abandoned by a parent, domestic violence, natural disasters, experiencing war or violence, suffering an illness or injury, or the death of a loved one. Bulimia can arise as a way of coping with trauma. Having a sibling or parent who is overweight, obese, or has an eating disorder. Being overly concerned with weight and appearance. Being overweight and starting a diet. Having a tendency toward perfectionism. Struggling with living up to societal ideas of thinness and beauty. Bulimia can be difficult to detect by others. 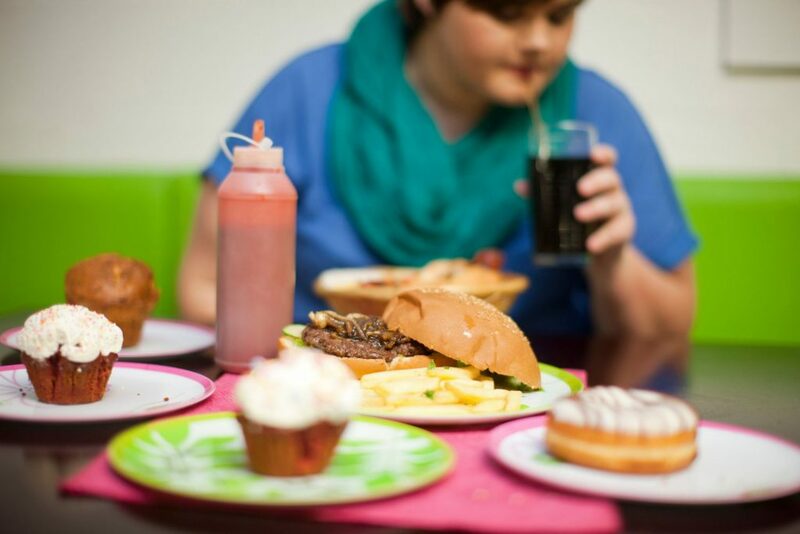 Binge eating is often carried out in secret, and those with bulimia may maintain a normal weight. Recurring episodes of binge eating. Binge eating is defined as eating more during a set period of time than what would normally be eaten by others in the same circumstances. 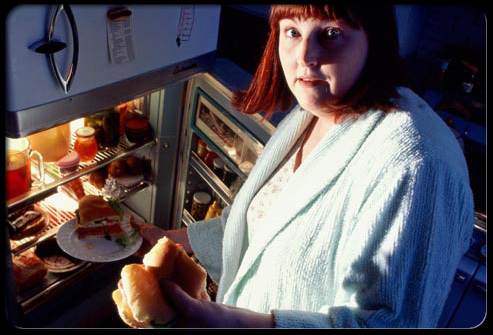 There is a feeling of a lack of control during the binge eating, as if you can’t stop eating. Recurring episodes of “compensatory behavior.” This is behavior that tries to compensate for the food eaten by getting rid of it. This may include self-induced vomiting, using laxatives or diuretics, or excessive exercise. That this behavior occurs at least once per week over a period of three months or more. A sense of self that is heavily influenced by body image and weight. Being overly preoccupied with body shape and weight. Being afraid of gaining weight. Feeling that they can’t control their eating. Eating until they feel discomfort or pain. Being preoccupied with dieting or exercise to the point that it keeps them from other activities. Withdrawing from activities with family or friends so they can engage in binge eating or purging behaviors. Going to the bathroom immediately following meals. Having calluses or sores on the knuckles or hands. Damage to the teeth or gums. Unhealthy or dry lips, skin, hair, and nails. If you’re concerned that you or a loved one may have bulimia, it’s important to seek treatment as soon as possible. 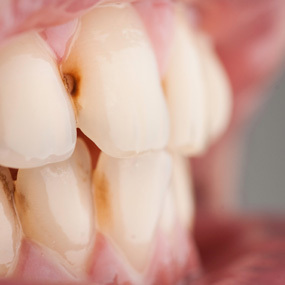 Tooth decay, swollen gums, erosion of tooth enamel, and gingivitis from vomiting. Tooth sensitivity to hot and cold due to the loss of enamel. Changes in metabolism and electrolyte imbalances, which can lead to heart problems, including arrhythmia and death. Seizures due to electrolyte imbalances or low blood sugar. Dehydration, which can lead to fatigue, weakness, fainting, and kidney disease. Tearing or inflammation of the esophagus. Tearing of the esophagus can lead to life-threatening bleeding. Burst esophagus, which requires immediate surgery. Low blood pressure, which can lead to fainting or loss of consciousness. Issues with bowel movements due to laxative abuse. 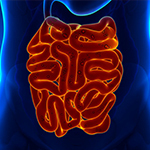 Digestive problems, including constipation, irritable bowel syndrome, diarrhea, and heartburn. Gastroparesis, which is difficulty moving food through the digestive tract. Medicines that induce vomiting, such as ipecac, can trouble breathing, weakness, chest pain, and low blood pressure. Hormonal problems, including missed or irregular periods and difficulty conceiving. If someone is a type I diabetic and bulimic, this can lead to a condition called diabulimia. This means that they’re cutting back on required insulin in order to lose weight, and this can result in a stroke, going into a coma, or even death. Depression, which is an ongoing feeling of sadness or hopelessness. It’s also marked by a lack of energy and interest in life activities. Anxiety, which is an ongoing feeling of nervousness or fear. Substance abuse disorders, which occurs in more than one-third of people with bulimia. Borderline personality disorder, which is a mental health condition marked by difficulty with relationships, low self-esteem, and difficulty managing anger. Obsessive-compulsive disorder, which is marked by repetitive thought patterns and doing rituals to mitigate anxiety. Panic disorder, which is frequent panic attacks. Panic attacks are periods of intense fear or anxiety and may include difficulty breathing, dizziness, and a feeling like the heart is pounding or racing. Self-harm, which is causing harm to the body in order to mitigate feelings of pain or anxiety. Over 30% of those with bulimia also self-harm. Impulsive behavior, including shoplifting or risky sexual behaviors. According to a 1985 Columbia University study, 70% of the females with bulimia also had experienced depression. A study at the Royal Children’s Hospital in Melbourne, Australia, showed that adolescents who met at least two of the diagnostic criteria for bulimia or anorexia were six times more likely to experience anxiety and twice as likely to experience substance abuse. Bulimia can seem difficult to understand to those on the outside. There are some common myths and misconceptions that can make seeking help even more challenging for those with bulimia.One common misconception is that bulimia is all about weight. Though weight is a factor, bulimia is more complex than that. It can stem from feelings of inadequacy and a need to please others. It can be a way to manage stress and exercise a sense of control over external factors.Another misconception is that it’s all about food. During a binging episode, food is a coping mechanism, and enjoyment is minimal at best. Once the food is consumed, or even while food is being consumed, there are feelings of disgust and powerlessness. Many people with bulimia associate food with anxiety, shame, and a lack of control.Some may feel that bulimia is easy to spot, which is another common misconception. In fact, it can be quite difficult to tell a person has bulimia. People with bulimia tend to have a normal weight and put a lot of pride into their appearance. They go to great lengths to hide their binge eating and purging.Another common misconception is that bulimia only affects young women. Though it’s most common in women, men can also have bulimia. Older women are also susceptible to bulimia, especially if they’ve experienced a traumatic life event or transition.